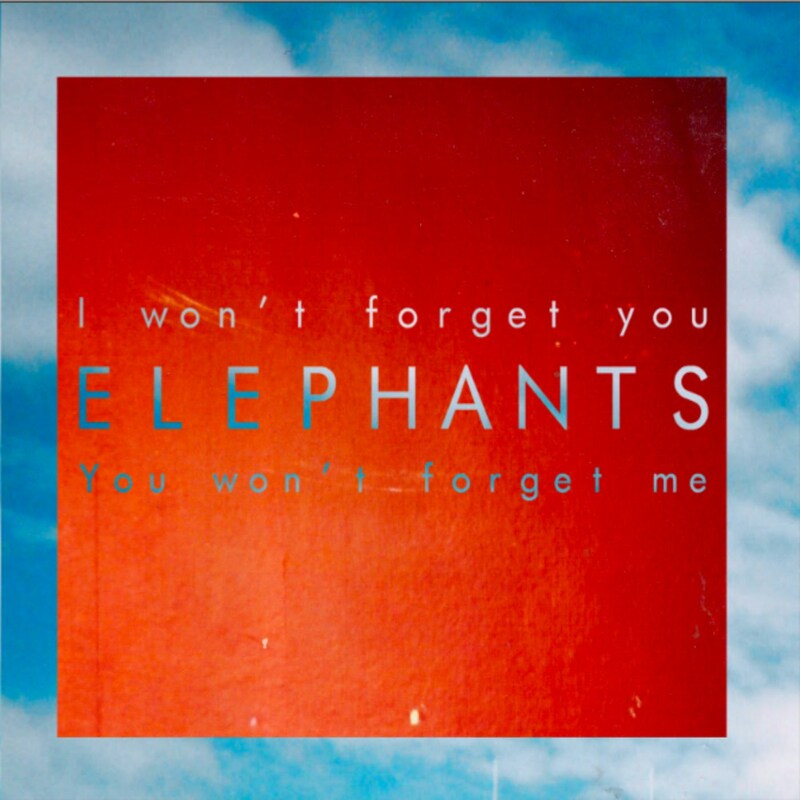 As a final release, following on from their split, underground PoPsters Elephants have been amazing enough to record I Won't Forget You, You Won't Forget Me – or as we should probably refer to it from now on: The Best EP Of 2011. OK, we're only in February now but hear me out, this is an essential release. For those who've not heard of or listened to Elephants before but are fans of groups such as Copy Haho, you're allowed to skip the rest of this review and just head straight over to the Alcopop! store where you can order I Won't Forget You for the bargain price of £5. The EP is being sent out with free bonus 7” singles and 6 track CDs but there's only a couple left so MOVE QUICK! Clocking in at very little over 15 minutes not a moment is wasted and everything slots perfectly into place. The five songs are played as tightly as Buzzcocks at their peak and the only let up in the fuzzy guitar pop assault comes in the form of the acoustic and tender 'Girls'. The set up is perfect too, 'Another Song For Laika' paints a picture of a relationship in two and a half minutes and, unlike so much break-up music, makes us actually care. It's quickly eclipsed however. 'Little Thoughts' begins with the line “I wish I was more exciting, I wish I was thunder to yr lightning” and serves to offer affecting lyric after affecting lyric. You're so drawn into the situation that each and every lyric hits home. Clichés such as “I like girls who break my heart” ('Girls') or “I'd do anything for you, 'cause I know you'd do the same for me too” ('Since You've Been Gone (My Heart Swells)') are delivered with such honestly that they resonate and echo around yr head long after you've finished listening to the EP. That they're offset with lines such as “I like girls that put me back together” only increases the amount of love that you can give this release. Despite the comparison to Buzzcocks earlier, this isn't all two-dimensional quick pop-punk. 'Since You've Been Gone (My Heart Swells)' starts simply enough before climaxing as an epic maelstrom and some purposefully delivered lyrics. It walks the fine line between being roughly unrefined and professionally perfect. It gives Elephants the wonderfully idiosyncratic feel that's too often lost by bands who want to be seen as quirky or whatever. Elephants however play it straight and honest and are so much better for it. It captures that eroding feeling of having given yr all to something only to look back and realise that you've ended up with nothing. Whilst the implication here is relationships, it's easily expanded and when the title is sung in EP finale 'I Still Remember' they might as well be talking straight up about the band. It may be their last release, but after listening to it you won't forget it and as it drags you back to press play repeatedly, it won't forget you either. Full marks, in other words. 10/10. Five Stars.